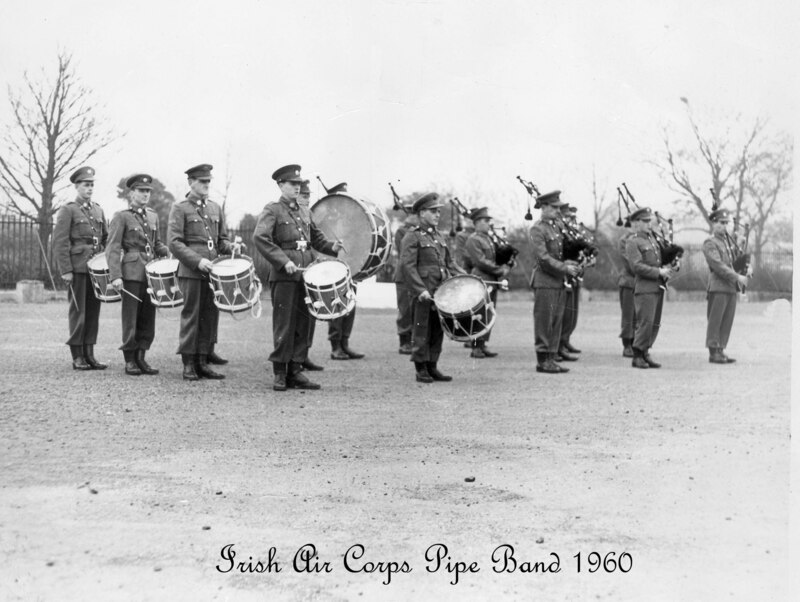 Many of the photos on this site were taken by Billy Galligan of the Air Corp. Much of his work has also been published in An Cosantoir, the magazine of the Defence Forces. 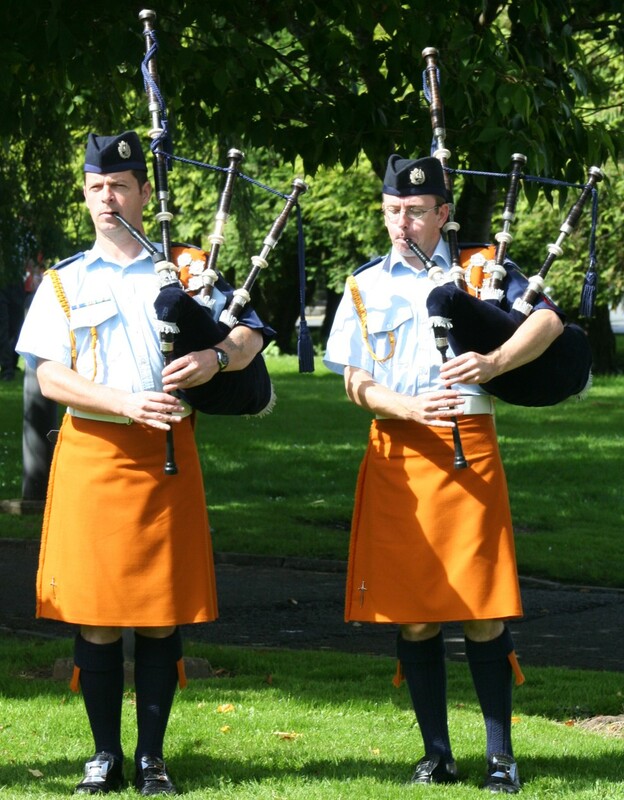 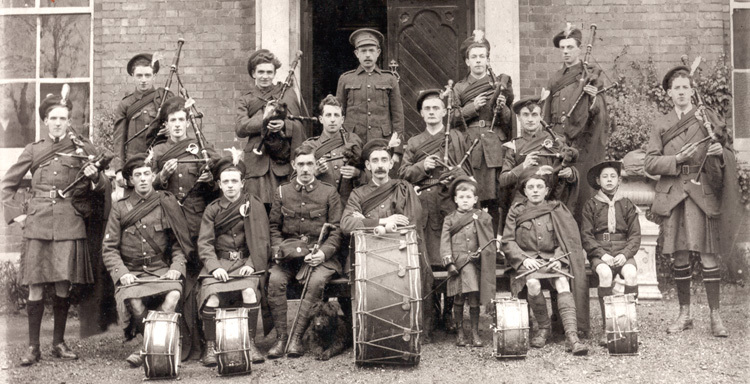 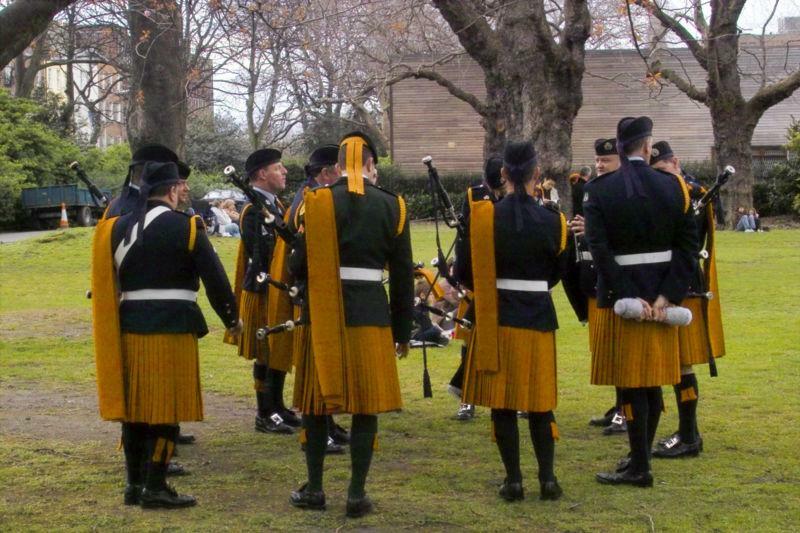 You can see more of Galligans great work on the Air Corp Pipe Band website. 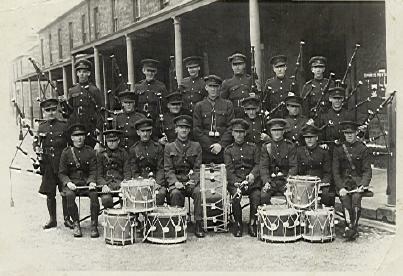 There is a link to it on the links page. 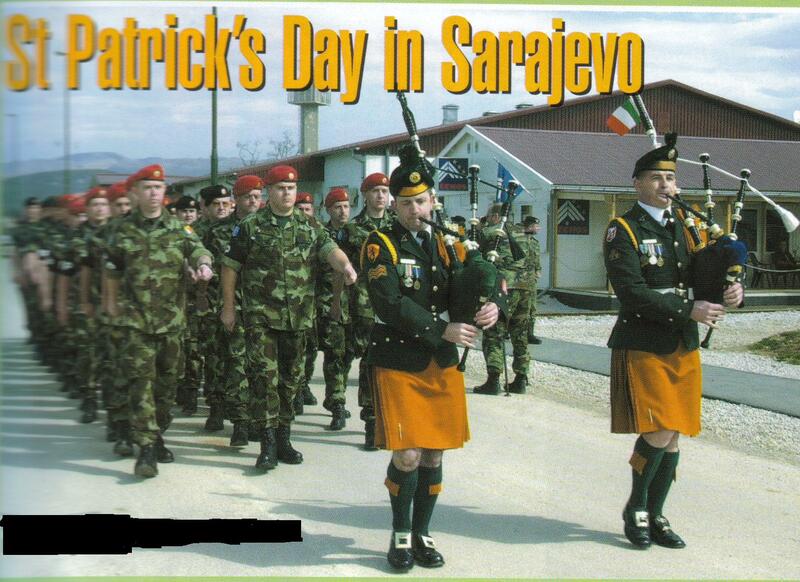 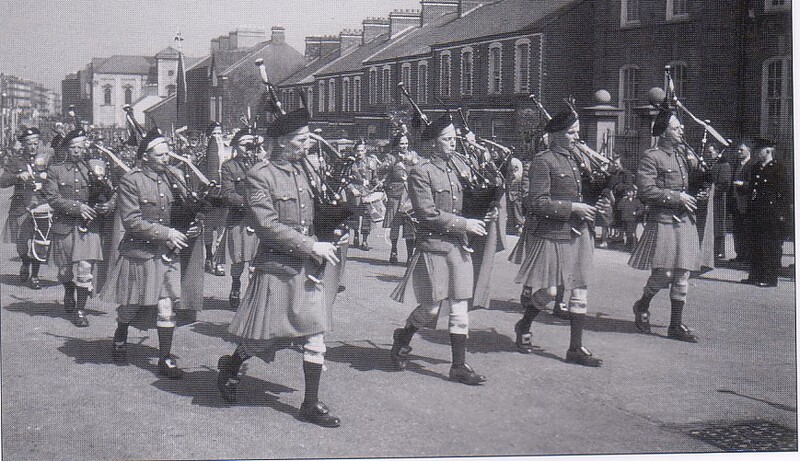 Picture from a 1950's issue of An Cosantóir, the Defence Forces magazine. 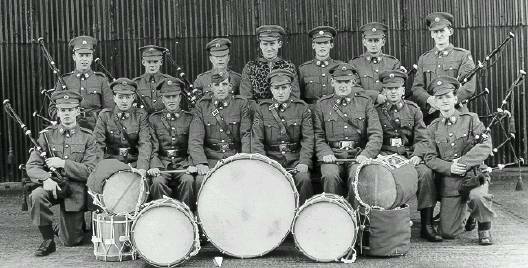 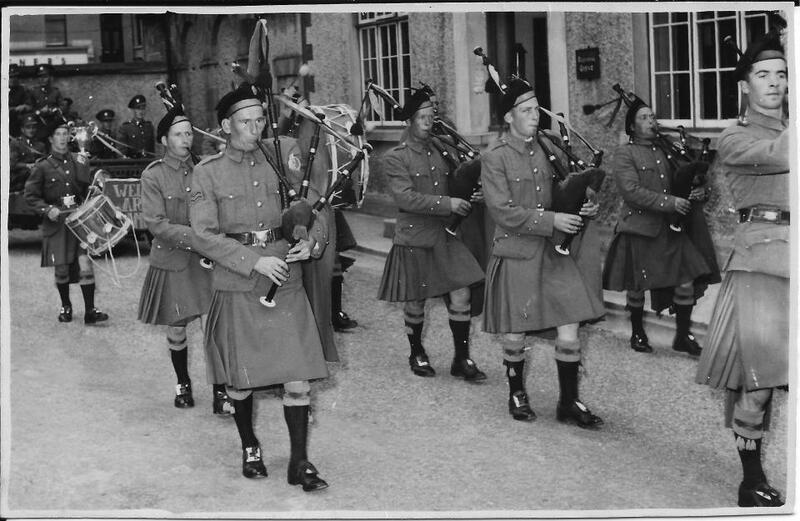 The band before leaving for UN Peacekeeping duty in the Congo Early 1960's. 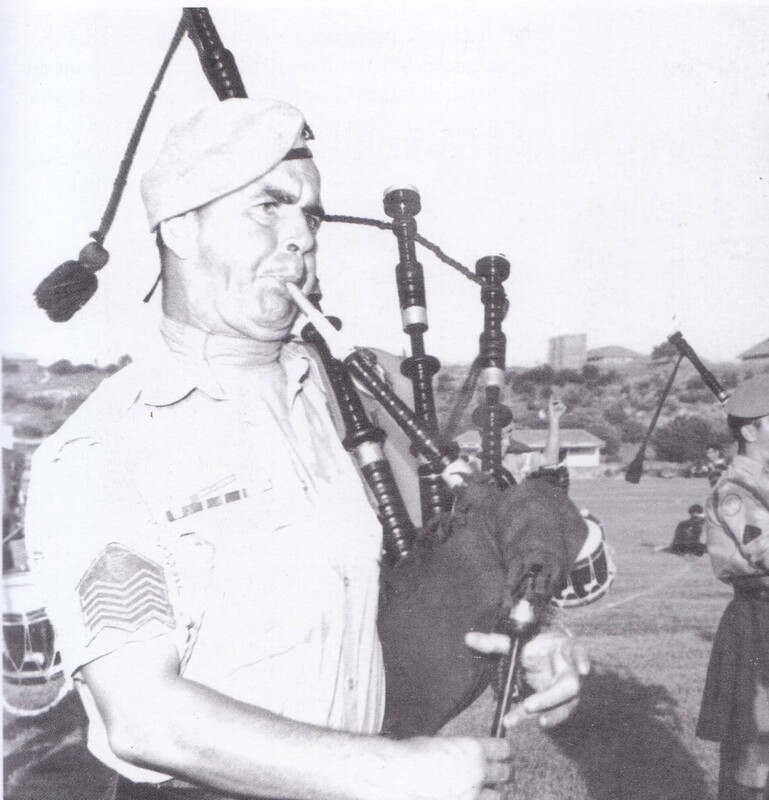 UN Duty on Cyprus, mid 1960's. 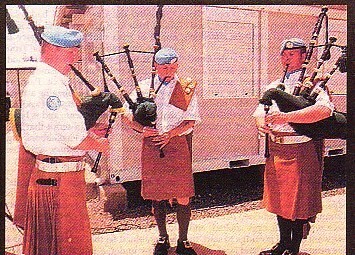 Tuning up for a performence while on duty in Eritrea. 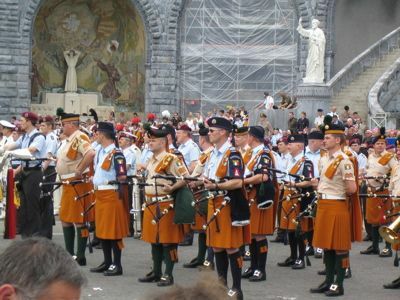 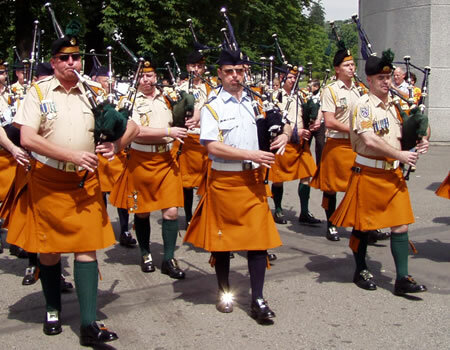 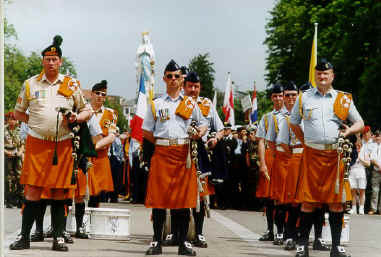 Above and below, the band on the annual military pilgrimage to Lourdes. 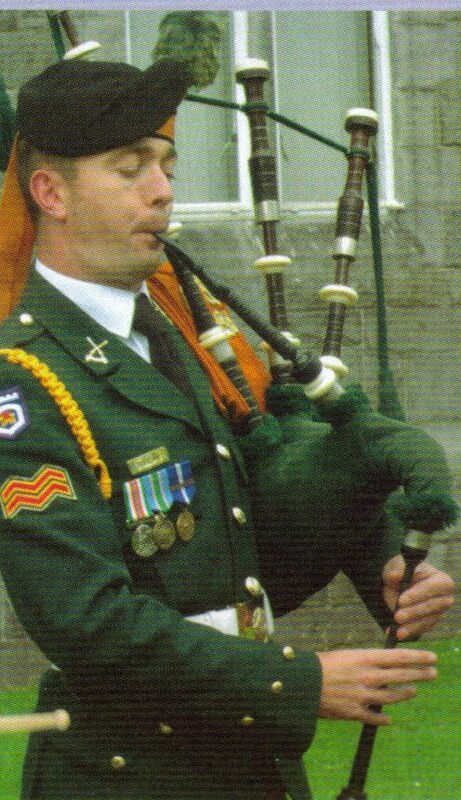 Cpl Kevin Duncan playing the lament "Wrap the Green Flag" on the program at the 90th anniversary of the Easter Rising of 1916.